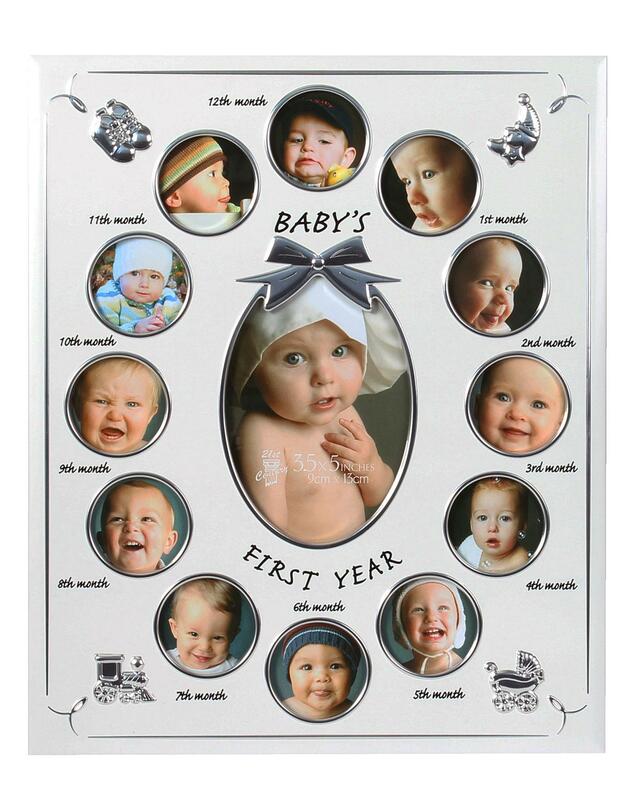 A silver baby's first year photo frame from Celebrations Every parent loves to capture countless photos of their new-born, making this adorable photo frame the perfect gift to give. The frame has 13 apertures in total: 12 for each month of the baby's first year framing 1 larger aperture for a bigger photograph in the middle. H.29 x W.24.5 x D.1cm.